Did trolls derail debate at Swedish embassy? Right-wing trollers were uspet that journalists Ms Swati Chaturvedi and Ms Barkha Dutt were speakers. 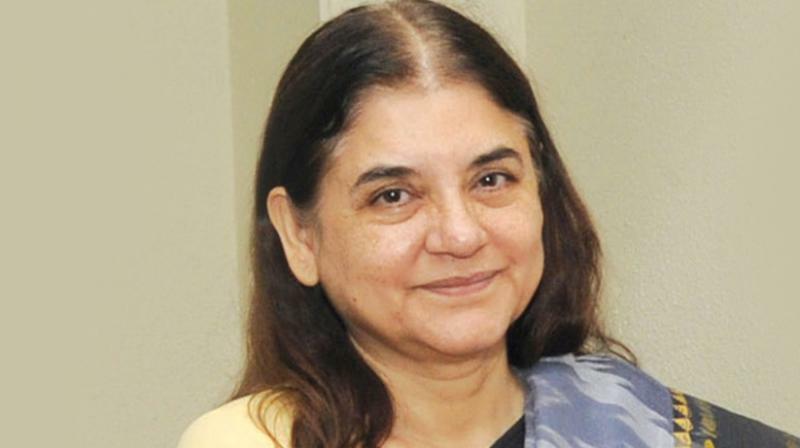 Mumbai: A panel discussion organised by the Embassy of Sweden in New Delhi featuring Maneka Gandhi, Union minister for women & child development, and journalists Swati Chaturvedi and Barkha Dutt has been cancelled, allegedly because of social media trolls. The programme ‘Women’s Participation in the Online Public Space’ was scheduled for May 8. The embassy, while confirming the cancellation, cited scheduling dates. Right-wing Twitter handles were irate over the fact that the Swedish embassy had called Ms Dutt and Ms Chaturvedi, who have openly spoken against trolls in their columns and books. The trolls went to the extent of compiling lists of Swedish products to be boycotted if the embassy did not cancel the talks. Some netizens even claimed that they had kept on calling the Swedish Embassy along with dozens of their friends so as to get the event cancelled. The programme — a panel discussion — was to be held on the occasion of World Press Freedom Day, and the invitee was ambassador Harald Sandberg. The keynote address was to be delivered by Ms Gandhi. Sweden’s minister for foreign affairs Margot Wallstrom was to address the gathering in a video message. Project), Anju Pandey (UN Women), Osama Manzar (Digital Empowerment Foundation) and Ida Ostensson (Make Equal, Sweden). Confirming that right-wing Twitter handles had asked the Swedish consulate to cancel the event, Suresh Nakhua, a Mumbai-based Bharatiya Janata Party (BJP) volunteer, who had asked his followers to make a list of Swedish products being sold in India, said, “We called the embassy and registered our protest. We even took to social media and even threatened them, saying that a list of products coming in from Sweden was being made. The government might have realised a Snapdeal-like situation may arise and hence they called of the event.” The right-wing Twitter handles didn’t spare Ms Gandhi, a BJP member, and there were some demands that she should be thrown out of office for participating in the event alongside Ms Dutt and Ms Chaturvedi. Asked whether trolling was the specific reason for the cancellation, the embassy replied, “The decision was taken only due to scheduling issues of the panellists.” Many right-wing Twitter handles were seen congratulating each other after the event was cancelled.